Psychologists typically study contemporary events (behaviors and mental processes), whereas historians study events of the distant past. Both might be interested in the same behavior, but the time frame and the methods are usually distinct. Psychologists are interested in marriage, for example, and they might study marriage using surveys, ex post facto methods, or quasi-experimental designs using a sample of married couples (or perhaps divorced couples). Historians, on the other hand, would be likely to look at marriage, for example, as an institution in Victorian England, and they would be unable to use any of the methods listed previously as part of the arsenal of the psychologist. The questions on marriage that would interest psychologists and historians might be similar—how are mates selected in marriage, at what age do people marry, what roles do wives and husbands play in these marriages, what causes marriages to end? But again, the methods of research and the time frame for the events would be different. History, then, is the branch of knowledge that attempts to analyze and explain events of the past. The explanatory product is a narrative of those events, a story. Central to telling any historical story is the accumulation of facts. We typically think of facts as some kind of demonstrable truth, some real event whose occurrence cannot be disputed. Yet facts are more elusive, as evidenced in the typical dictionary definition, which notes that a fact is information that is “presented” as objectively real. Historians present as fact, for example, that an atomic bomb was dropped on the Japanese city of Hiroshima on August 6, 1945. Because of detailed records of that event, as well as many eyewitness accounts, that fact seems indisputable; however, there are other kinds of facts. In addition to the date of the bombing of Hiroshima, historians have also presented a number of facts relevant to the decision made by the United States government to drop that bomb. Not surprisingly, those facts are more debatable. Thus facts differ in terms of their certainty. Sometimes that is because evidence is incomplete and much inference has to be made, sometimes it is because evidence is contradictory, and sometimes it is because of bias introduced in the observation or in the interpretation of these events. Flawed though they may be, facts are the basis of history. It is the job of the historian to uncover these items of the past and to piece them together in an account that is as accurate as can be constructed. In contemporary historiography, the researcher must always be alert to bias in the selection and interpretation of facts. Objectivity is a critical goal for the historian. Carr (1961) has argued that objectivity is indeed only a dream: “The emphasis on the role of the historian in the making of history tends, if pressed to its logical conclusion, to rule out any objective history at all: history is what the historian makes” (p. 29). Like psychologists, historians are human too, and they bring to their task a bundle of prejudices, preconceptions, penchants, predispositions, premises, and predilections. Such baggage does not mean that they abandon their hope for objectivity, nor does it mean that their histories are hopelessly flawed. Good historians know their biases. They use their understanding of them to search for evidence in places where they might not otherwise look or to ask questions that they would not ordinarily ask. When this searching and questioning causes them to confront facts contrary to their own views, they must deal with those facts as they would with facts that are more consistent with their biases. Bias in history begins at the beginning: “The historian displays a bias through the mere choice of a subject…” (Gilderhus, 1992, p. 80). There are an infinite number of historical subjects to pursue. The historian selects from among those, often selecting one of paramount personal interest. The search within that subject begins with a question or questions that the historian hopes to answer, and likely the historian starts with some definite ideas about the answers to those questions. Bias is evident too in the data of history. It can occur in primary source material—for example, census records or other government documents—even though such sources are often regarded as quite accurate. Yet such sources are inherently biased by the philosophies underlying the construction of the instruments themselves and the ways in which those instruments are used. Secondary sources too are flawed. Their errors occur in transcription, translation, selection, and interpretation. Oral histories are subject to the biases of the interviewer and the interviewee. Some questions are asked, while others are not. Some are answered, and others are avoided. And memories of events long past are often unreliable. Manuscript collections, the substance of modern archives, are selective and incomplete. They contain the documents that someone decided were worth saving, and they are devoid of those documents that were discarded or lost for a host of reasons, perhaps known only to the discarder. After they have selected a topic of study and gathered the facts, historians must assemble them into a narrative that can also be subject to biases. Leahey (1986) reviews some of the pitfalls that modern historians of science want to avoid. These include Whig history, presentism, internalist history, and Great Man theories. Whig history refers to historical narrative that views history as a steady movement toward progress in an orderly fashion. Presentism is the tendency to view the past in terms of current values and beliefs. Internalist history focuses solely on developments within a field and fails to acknowledge the larger social, political, and economic contexts in which events and individual actions unfold. Great Man theories credit single, unique individuals (most often white males) as makers of history without regard for the impact that the spirit of the times (often referred to as the Zeitgeist) has on the achievements of individuals. Avoiding these errors of interpretation calls for a different approach, which Stocking (1965) has labeled “historicism”: an understanding of the past in its own context and for its own sake. Such an approach requires historians to immerse themselves in the context of the times they are studying. History research is often like detective work: the search for one piece of evidence leads to the search for another and another. One has to follow all leads, some of which produce no useful information. When all of the leads have been exhausted, then you can analyze the facts to see if they are sufficient for telling the story. The leads or the data of history are most often found in original source material. The published record provides access to original source material through monographs and serials that are widely circulated and available in most academic libraries (including reference works such as indexes, encyclopedias, and hand-books). Hard-to-find and out-of-print material (newspapers, newsletters) are now much more easily available thanks to the proliferation of electronic resources. Too often valuable sources of information (obituaries, departmental histories and records, and oral histories) that are vital to maintaining the historical record are not always catalogued and indexed in ways that make them readily available and visible. The most important of all sources of data are archival repositories. Within such repositories one can find records of individuals (referred to as manuscript collections) and organizations (termed archival collections). Manuscript collections preserve and provide access to unique documents such as correspondence, lab notes, drafts of manuscripts, grant proposals, and case records. Archival collections of organizations contain materials such as membership records, minutes of meetings, convention programs, and the like. Archival repositories provide, in essence, the “inside story,” free of editorial revision or censure and marked by the currency of time as opposed to suffering the losses and distortion of later recall. In much the same way, still images, film footage, and artifacts such as apparatus and instrumentation aid in the process of historical discovery. “Surprise, intrigue, apprehension, puzzles, and discovery”—those are characteristics of detective work, and historical research is very much about detective work. The papers of important psychologists are spread among archives and libraries all over the world. In the United States you will find the papers of William James and B. F. Skinner in the collections at Harvard University. The papers of Hugo Munsterberg, a pioneer in the application of psychology to business, can be found at the Boston Public Library. The papers of Mary Whiton Calkins and Christine Ladd-Franklin, important early contributors to experimental psychology, can be found at Wellesley College and at Vassar College and Columbia University, respectively. The Library of Congress includes the papers of James McKeen Cattell and Kenneth B. Clark. Cattell was one of the founders of American psychology and a leader among American scientists in general, and Clark, an African American psychologist, earned fame when his research on self-esteem in black children was cited prominently in the U.S. Supreme Court decision that made school segregation illegal (Brown v. Board of Education, 1954). The single largest collection of archival materials on psychology anywhere in the world can be found at the Archives of the History of American Psychology (AHAP) at the University of Akron in Akron, Ohio. Founded by psychologists John A. Popplestone and Marion White McPherson in 1965, its purpose is to collect and preserve the historical record of psychology in America (Baker, 2004). Central to this mission is the preservation of personal papers, artifacts, and media that tell the story of psychology in America. In archival terms, “papers” refers to one-of-a-kind (unique) items. Papers can include such things as correspondence (both personal and professional), lecture notes, diaries, and lab journals. Recently named a Smithsonian Affiliate, the AHAP houses more than 1,000 objects and artifacts that offer unique insights into the science and practice of psychology. Instruments from the brass-and-glass era of the late 19th century share space alongside such significant 20th century objects as the simulated shock generator used by Stanley Milgram in his famous studies of obedience and conformity, the flags of the Eagles and Rattlers of the Robbers Cave experiment by Muzafir and Carolyn Sherif, and the props that supported Phillip Zimbardo’s well-known Stanford University prison studies. Currently, the AHAP houses the personal papers of over 700 psychologists. There are papers of those representing experimental psychology (Leo and Dorothea Hurvich, Kenneth Spence, Ward Halstead, Mary Ainsworth, Frank Beach, Knight Dunlap, Dorothy Rethlingshafer, and Hans Lukas-Tuber), professional psychology (David Shakow, Edgar Doll, Leta Hollingworth, Herbert Freudenberger, Sidney Pressey, Joseph Zubin, Erika Fromm, Jack Bardon, Robert Waldrop, Marie Crissey, and Morris Viteles), and just about everything in between. Also included are the records of more than 50 psychological organizations, including the American Group Psychotherapy Association, the Association for Women in Psychology, Psi Chi, Psi Beta, the Association for Humanistic Psychology, the International Council of Psychologists, and the Psychonomic Society. State and regional association records that can be found at the AHAP include those of the Midwestern Psychological Association, the Ohio Psychological Association, and the Western Psychological Association. The test collection includes more than 8,000 tests and records. There are more than 15,000 photographs and 6,000 reels of film, including home movies of Freud, footage of Pavlov’s research institute, and research film from Arnold Gesell and the Yale Child Study Center. All of these materials serve as trace elements of people, places, and events to which we no longer have access. These archival elements are less fallible than human memory, and if properly preserved, are available to all for review and interpretation. Because an in-person visit to the Archives of the History of American Psychology is not always possible, the AHAP is seeking to make more of its collection available online (http://www.uakron.edu/ahap/). Indeed, with the advent of the information age, material that was once available only by visitation to an archival repository can now be scanned, digitized, and otherwise rendered into an electronic format. From the diaries and correspondence of women during the civil war to archival collections of animation movies, the digital movement is revolutionizing access to original source material. 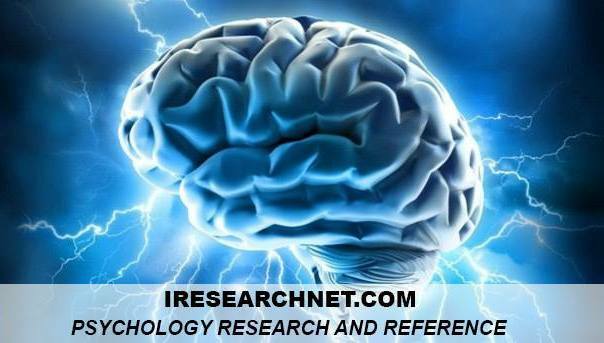 More information on electronic resources in the history of psychology can be found in the annotated bibliography at the end of this research paper. Even if an on-site review of the contents of a collection is not possible, reviewing finding aids can still be useful because of the wealth of information they provide.